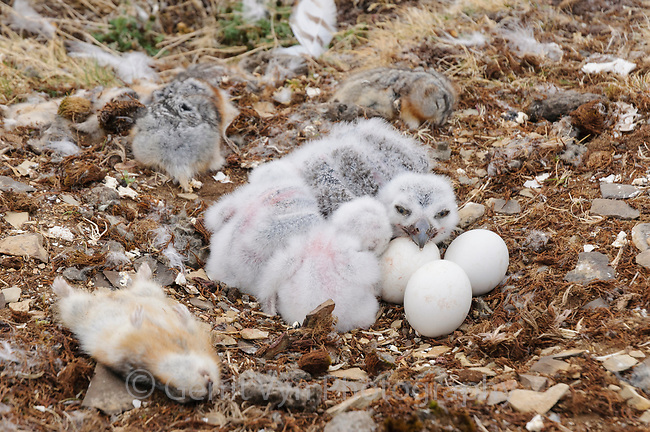 Snowy Owl (Bubo scandiacus) chicks and eggs in nest surrounded by Collared Lemming (Dicrostonyx groenlandicus) prey. Bathurst Island, Nunavut, Canada. June.